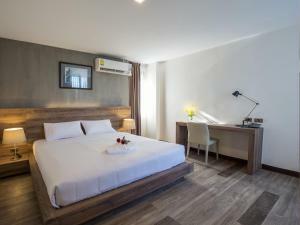 B2 Bangna Premier Hotel is set in Bangkok, a short drive from Central Bangna Shopping Centre. Free WiFi is offered in public areas. 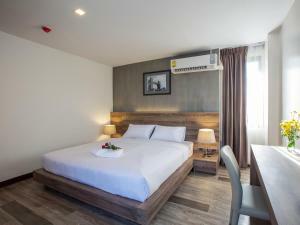 The hotel is a 10-minute drive from Bangkok International Trade & Exhibition Centre, while both Udom Suk and Bangna BTS Skytrain Stations are approximently a 15-minute drive away. 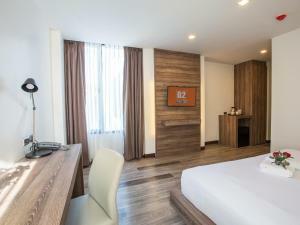 With easy easy to the motorway, B2 Bangna Premier Hotel is a 25-minute drive away from Suvarnabhumi International Airport. 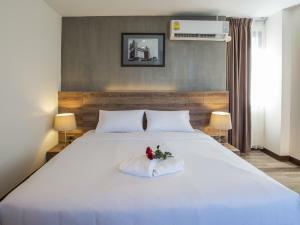 Every room is air-conditioned and is fitted with a flat-screen cable TV with cable channels. There is also a mini-fridge and a private bathroom with a shower. 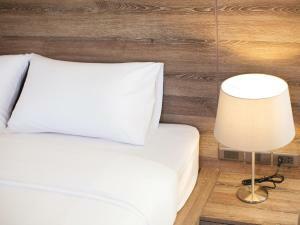 Facilities here include a restaurant, a 24-hour front desk and free private parking is available on site. Please note that children aged below 18 are not allowed to check in without an adult. 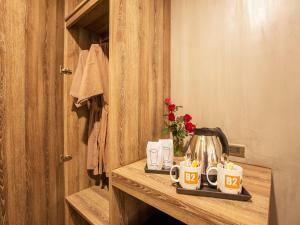 This double room has a minibar, a flat-screen TV and a private bathroom with a shower. Rate: THB 1050.00 ... THB 1140.00; select dates below to get current rates.